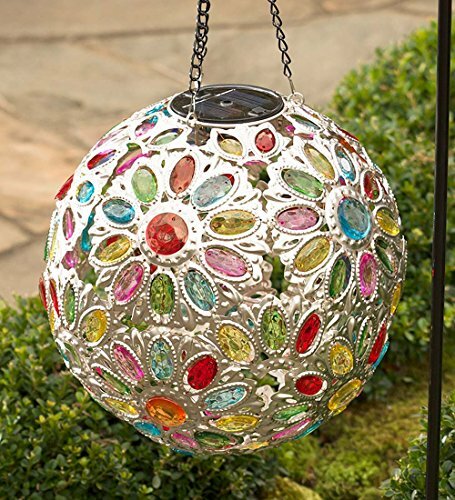 Our Hanging Solar Jewel Ball is a dazzling accent that will become the crown jewel of your yard and garden. Our exclusive design has uncommon style and casts a unique pattern of light. An integrated solar panel powers the interior light. Made of faux crystals in an intricate flower pattern, our Solar Jewel Ball looks wonderful day or night. Built-in hanging chain; shepherd's hook not included. Size: 10" dia. Style: Multi-Colored Crystals.